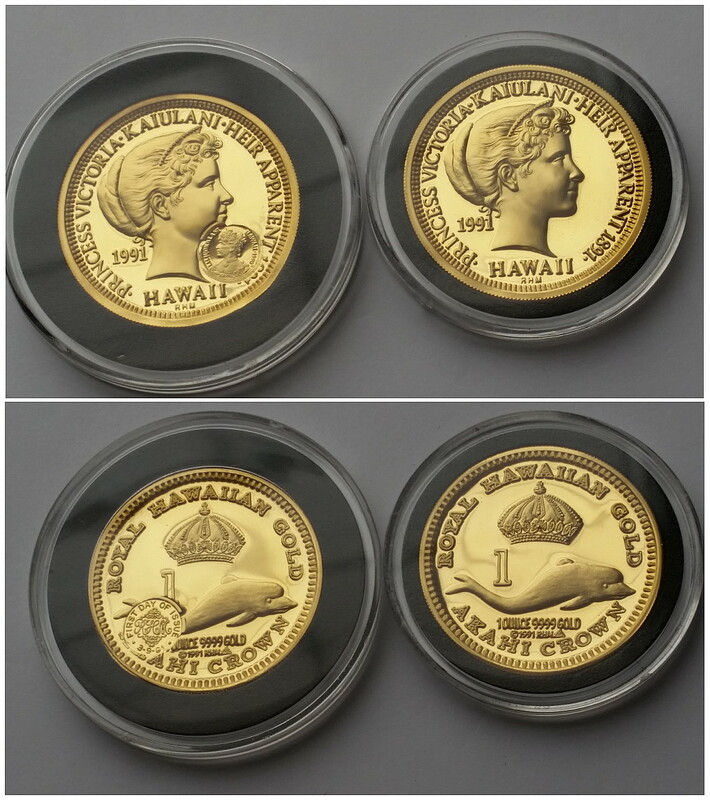 I took a few comparison photographs of the two uncirculated gold 1991 Princess Kaiulani Akahi Crowns in my collection. Both are absolutely stunning gold coins. The X# MB60 is on the right and the undocumented version with First Day Issue counterstamp is on the left.